Sagging Meniscus Press, 9781944697402, 209pp. Fiction. 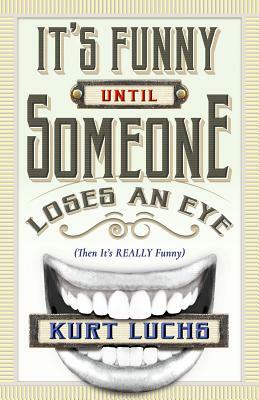 This collection of stories by Kurt Luchs pursues its comedic quarry with the ruthlessness of a pussycat trying to get out of a cardboard box. Luchs, who has written for august literary organs such as The Onion, The New Yorker, and McSweeney's Internet Tendency, and even been published by some of them, is an inspired comic writer in the tradition of P.J. Wodehouse, S.J. Perelman, and Woody Allen, for whom not only the world but language itself is a source of constant delight. Even the hilarity he generates is not an end in itself; the convulsing diaphragms of his laughing readers are in his hands a remotely operated musical instrument bridging the woodwind and percussion sections.